So, The Game Awards 2018 have been and gone and that was a wild night of teasers, trailers and announcements. Before I go on, I think it’s worth getting one particular gripe out of the way; the “awards” portion of The Game Awards neither excite not inform in the manner of which you’d expect. They have become, on the whole, rather predictable – it was a series of relatively safe bets, with Red Dead Redemption 2 obviously walking away with things due to the massive levels of hype and the relatively recent launch of said game, leaving it fresh in the minds of many compared to arguably stronger or more deserving titles. Like many “official” Awards Ceremonies, it seems to be about giving things arguably to the most obvious candidate, and if this continues I can see more and more companies ‘Awards Baiting’ in the October/November period, trying to remain relevant and fresh ready for their time to shine during The Game Awards at the start of December. Whether that’s a good thing or not remains to be seen, of course, and it may not totally come to pass on the whole. But it feels like the way that things are going. And it’s something to be mildly concerned about. That being said, most people are not watching for the “Awards” portion of the proceedings. They’re staying up until the small hours of the night waiting for announcements, reveals, teasers, trailers and new bombshells to look forward to in the coming year. On that front, TGA2018 did its best with arguably little real material to go off of; most of the “announcements” were CG teasers with little actual gameplay to speak of, like Far Cry: New Dawn, a sort-of-spin-off sequel to Far Cry 5, in the vein of Primal or Blood Dragon. And considering the face-plant of Fallout 76, UbiSoft came across like it was teabagging Bethesda’s lifeless game as a result – the CG showed a vibrant, interesting landscape with vehicles and people and life and death and everything that Fallout 76 just lacks right now. For me, the biggest “winner” of the night was… well, it was Nintendo. Who have scored the exclusive publishing rights to Marvel Ultimate Alliance 3, making one of the most sought-after Marvel game sequels effectively a Nintendo Switch exclusive. Then there was Crash Team Racing; the PS1 remake that led in with a PS4 logo… only to then go yoink, we’re also on the Switch. Which means that the Nintendo Switch is likely going to have THREE of the best kart-racing games on the market, if you include Sonic Team Racing (which I will). Then there’s Mortal Kombat 11. Whilst I’m a little concerned about this – WB Interactive have done little to truly regain my faith just yet – the fact this sequel will be on the Switch is a massive score for Nintendo, and only reinforces my belief that the Switch is going to become a massive middle-ground safety net for the next-gen transition, a fallback option for financial purposes whilst the 4K-driven Gen-9 struggles to find its footing for various reasons that I’ve already written about on this blog. Nintendo then wound up the night with Joker from Persona 5 being the first DLC character in Smash Ultimate. I know for a fact this… was an enormous deal across the gaming scene. Joker has always been a wanted character but Persona 5 isn’t a Switch game. And yet, once again, Sakurai has demonstrated that he really doesn’t give a flying sack of squirrel’s nuts about what makes sense or what -should- happen; he’s going to drop whatever he wants, however he wants to, and we’re literally only along for the ride. Of course, Nintendo didn’t win anything major in the awards scene, but frankly it didn’t need to. TGA2018 just established the Switch as the desirable commodity of 2019. Pure marketing? Absolutely. But -what- marketing that was! + The Epic Store isn’t playing around as an alternative to Steam. This fresh-faced little blighter spent the evening scoring exclusive early access to a variety of interesting little games, like Supergiant Games’ new title Hades. Will this be enough? I don’t really know, but that Epic spent enough to give the Epic Store more than its fair share of TGA’s spotlight only demonstrates, to me at least, that Valve has got to get itself together or Epic Games are likely to run roughshod all over them. + Dragon Age 4 was “teased” – actually, probably not even that. BioWare and EA barely even had the balls to actually reveal it, leading in with just the scantest of information, almost as if it was rather terrified to actually be at The Game Awards. Probably with good reason. … but on the whole, it was a rather droll night on the whole. Yes, it’s better than what has been done before; frankly any year where Hydrobot remains in a concrete grave is a good year for The Game Awards. But it feels more and more padded out, and part of that comes down to dropping some of the major awards – and most of the minor ones – to commercial breaks and the pre-show. It’s as if Geoff Keighley has more awards categories than can be realistically handled in what is, ostensibly, a two-hour show with a bunch of game reveals to boot, and in the coming years I think he’ll be under immense pressure to either give all the awards more actual coverage or, more likely, to thin out the categories a little because less will be so much more. But as ever, I do think The Game Awards – as a thing – is a good idea. It’s perfectly positioned at a time where big new releases can be marketed for the Christmas period across the world, and drop plenty of good new stuff that is coming in the following year. It is, however, still very new as a thing in its own right and unlike other major awards shows which have had decades to basically sort out the format somewhat – pre-dating our current 24/7 world considerably – we’re actually in a period where we can see this changing and shifting gradually every year, trying to suss out the best format and the best pacing for this infant showcase. Was it better than last years show? Eh, not really. Jonah Hill was there to present the Industry Icon award, an Academy Nominated actor who struggled to read from a teleprompter, which was all different kinds of cringe. But Christopher Judge was rocking that suit hard. I’ve always had a massive soft spot for Teal’c, and it’s… still hard to see my main man with a bitchin’ hairdo (particularly as I keep losing mine thanks to alopecia – you were my bald icon! YOU HAVE BETRAYED ME! *sobs*), but still, Christopher Judge is just amazing. Still a massive fan, sir. And that hair and that suit… *air kisses* sublime, exquisite, bravo, first prize. Sony and Microsoft… just didn’t seem to exist this year. They had that intro with Reggie Fils-Aime, of course, but that was the extent of their real presence. Once two of their games were shown for the Switch as well, you got the impression that Nintendo certainly had more of the power this year and was able to pull off a staggering usurping of the show. Whether that’s by design or because they genuinely don’t have much to be showcasing is up for debate, but again, this felt largely like Nintendo was in the driving seat. So yeah, it was unbalanced on that front, a bit too predictable on the awards front and the presenting ranges from passable to dear-god-get-that-person-off-the-stage-now. They also need to cut the speeches a little. Perhaps the Sonic Drowning Music, start playing it when they’ve gone past 30 seconds, and at the end of it – cut the mic and play the transition music to get them moving. I know that there are lots of people to thank, but again, time is limited during this. 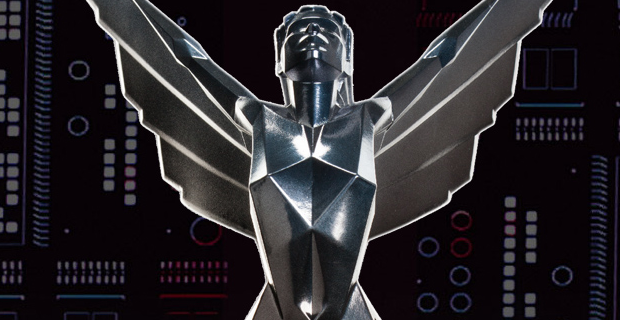 If it were purely an online live-stream, I’d get it, but The Game Awards is now televised in many countries – hence the filler awards plugging those gaps. Still, on the whole, TGA2018 wasn’t all that terrible. Nintendo is in ascendance, Red Dead 2 practically swept the boards in the biggest non-shock since President Donald Trump (seriously, I’m in the UK and even I saw that coming America) and more and more of the awards are being pushed out into minor reveals on the sidelines, shoring up more time for long speeches and trailers. Let’s hope it’s retooled a little better in 2019, because this is still… okay. It’s fine. It’s a B-minus. Not bad. But it still needs more polish and a LOT of trimming. But let’s have Christopher Judge there every year from now on. Yes, I’ve got a guy-crush on him. Getting to grips with new WordPress formatting update. Will probably be upgrading the theme at some point. Think I got it sussed for now though.